That’s right, it’s BAAAAACK! In December, we took a little hiatus from Foodie Penpals to help those in need with Foodie Penpals for Sandy. 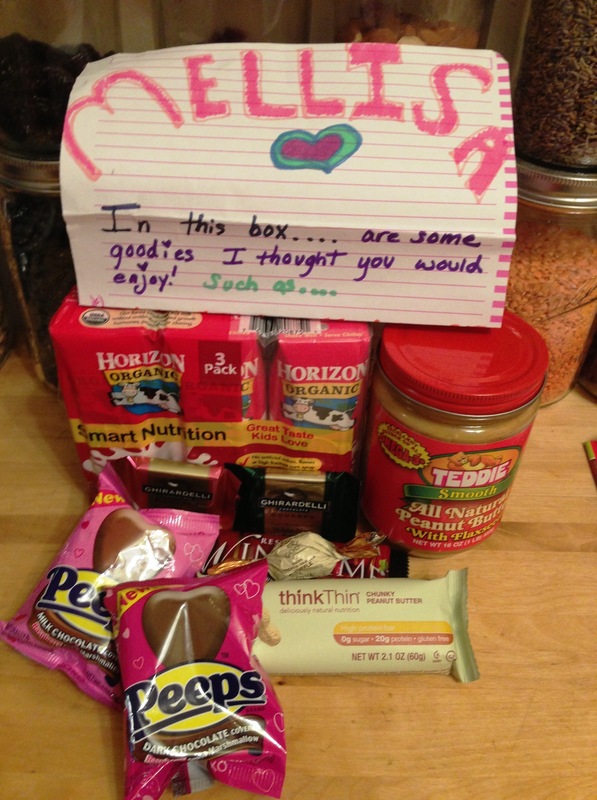 The idea was donate what you’d usually spend on your Foodie’s Penpal package to support the victims of Sandy when it hits hardest–during the holidays. Together Foodie Penpals raised a lot of money for New York Cares. But now we’re back. And what an awesome package I got to kick off the new year! This month I was paired with Lauren over at fooood4theheart. I knew I liked Lauren right away when she emailed me with three simple questions: Allergies? Favorite nut butter? and Favorite Snack?. I knew I was in for some good stuff. Lauren’s package of goodies brought me back to childhood–complete with letter written in magic marker! Lauren sent me some of the best peanut butter I’ve ever had. 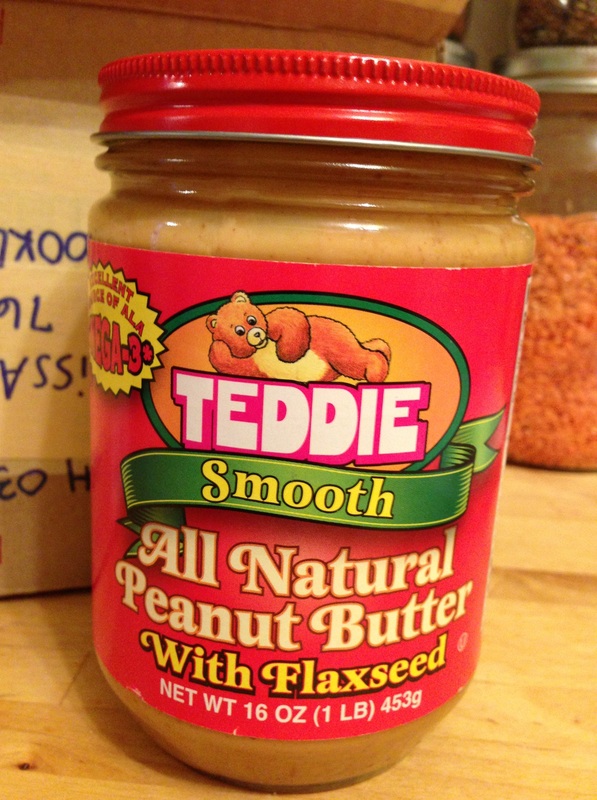 Teddie’s Smooth Peanut Butter with flax seed. She even knew I didn’t like crunchy! But seriously, this peanut butter is good. I can easily go through a jar of peanut butter in a few weeks. I generally get the fresh ground stuff from Whole Foods because I find it doesn’t separate as much, but give this stuff a good mix and it’s good to. Now I just need to get me some in Brooklyn. The rest of the package was themed with chocolate this and that. I especially LOVED the little Peep hearts. I’m generally not a fan of milk chocolate (I got both varieties) but with the raspberry marshmallow filling, pretty yummy! Thank you, thank you Lauren for such an awesome package! And as always, thanks to Lindsay at the Lean Green Bean for organizing everything! On the 5th of every month, you will receive your penpal pairing via email. It will be your responsibility to contact your penpal and get their mailing address and any other information you might need like allergies or dietary restrictions. You will have until the 15th of the month to put your box of goodies in the mail. On the last day of the month, you will post about the goodies you received from your penpal! The boxes are to be filled with fun foodie things, local food items or even homemade treats! The spending limit is $15. The box must also include something written. This can be anything from a note explaining what’s in the box, to a fun recipe…use your imagination! Foodie Penpals is open to blog readers as well as bloggers. If you’re a reader and you get paired with a blogger, you are to write a short guest post for your penpal to post on their blog about what you received. If two readers are paired together, neither needs to worry about writing a post for that month. Foodie Penplas is open to US & Canadian residents. Please note, Canadian Residents will be paired with other Canadians only. We’ve determined things might get too slow and backed up if we’re trying to send foods through customs across the border from US to Canada and vice versa. If you’re interested in participating for February, please CLICK HERE to fill out the participation form and read the terms and conditions. You must submit your information by February 4th as pairings will be emailed on February 5th! 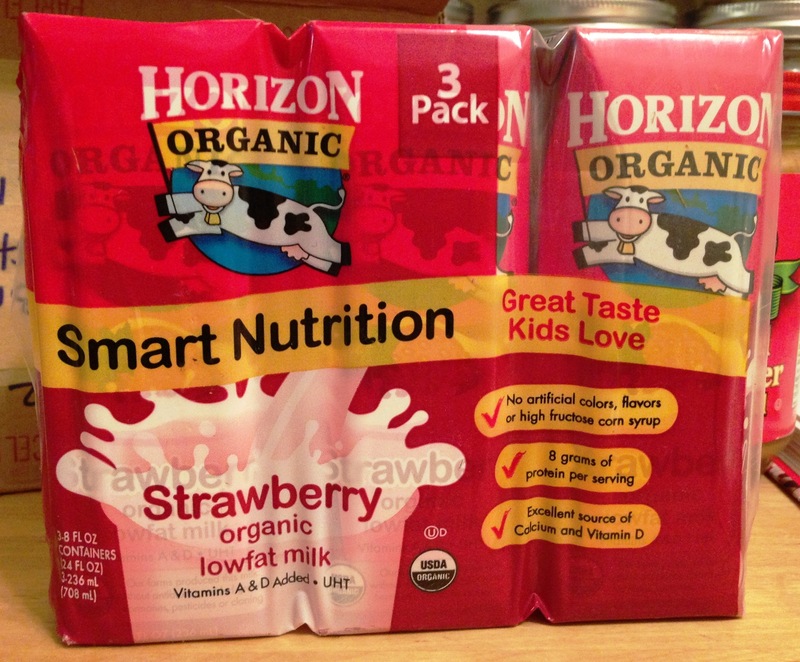 That strawberry milk is my FAVORITE! Ummmm . 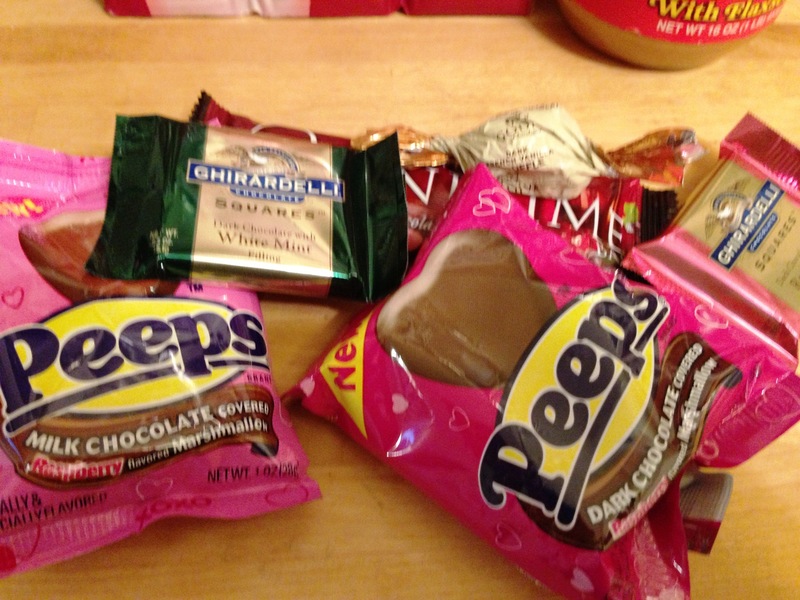 . . chocolate covered Peeps??? I’ve never seen these before. I must have them. I consider my FPP boxes a win if they contain chocolate! !